When American PhD astronomy student Alex Harrison Parker was held from exploring the starry night at the Harvard-Smithsonian Center for Astrophysics in Cambridge because of bad weather, he decided to find an alternative solution. 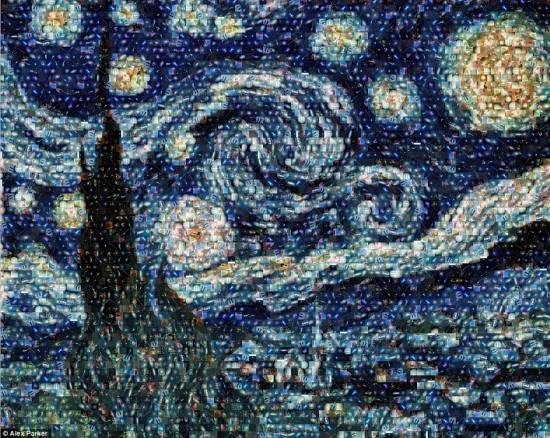 Coinciding with Hubble’s 22nd birthday, the idea he had was to assemble a collage of the most beautiful images captured by the Hubble telescope in the last 20 years to re-produce the renowned Starry Night painting of Van Gogh. 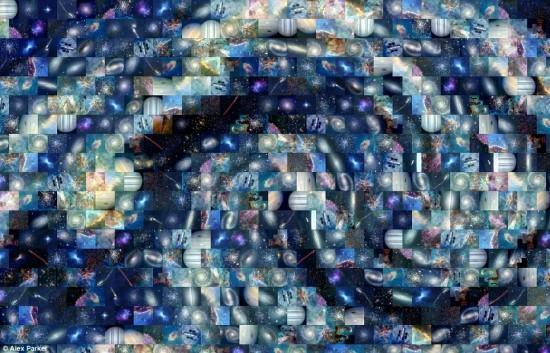 Using computer mosaic-making software, the passionate astronomer downloaded Hubble’s top 100 pictures and combined them into a beautiful mosaic to create a unique art project.